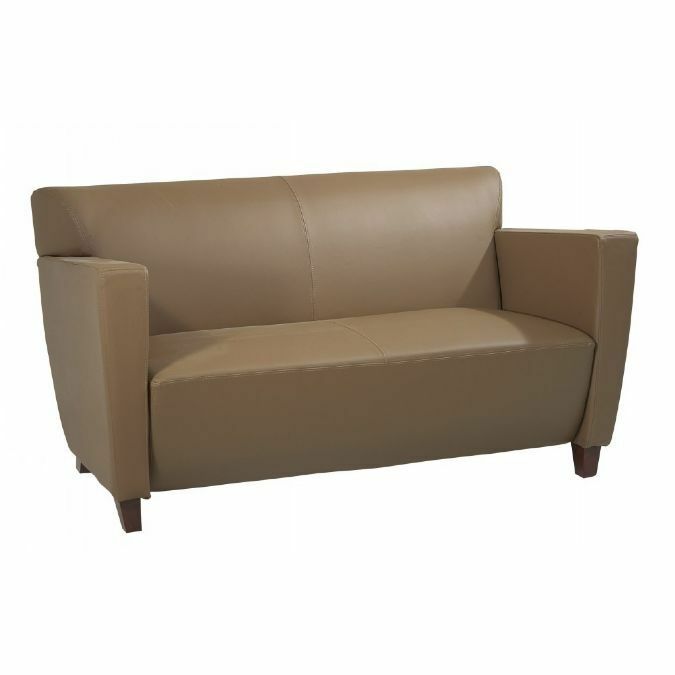 Taupe Leather Love Seat with Cherry Finish Legs. Meets ANSI/BIFMA Standards. 300 lb. Weight Limit. Gross Weight: . . . . . . . . . . . . . . . . . . . . . . . 91 lbs.